Hasan is one of Thailand’s most experienced public relations and issues management consultants and has been practising public relations in Thailand for more than 30 years. 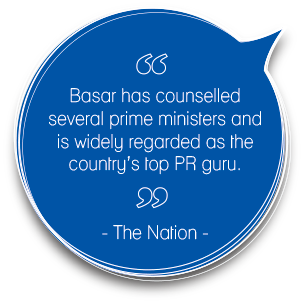 During that time he has counselled on many of Thailand’s major public relations challenges. 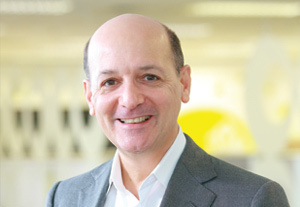 His experience includes working for leading global corporations in many sectors including energy and power generation, financial services, travel and tourism, consumer packaged goods, edutainment, broadcasting, healthcare, pharmaceuticals and biotechnology, property development, retailing and automobiles. He has also served the Royal Thai Government as well as three prime ministers and political party leaders, more than 10 individual members of Cabinet, a Governor, and a Mayor. In the last two years, he has twice been quoted in Time Magazine for his analysis of Thai political developments. a 3-Term Board Member of the Foreign Corres-pondents’ Club of Thailand, and 4-Term Council Member of The Siam Society under Royal Patronage.